Annuals are warm climate plants that may be perennials in the south or south west. Frost sensitive annuals will not live through a cold winter. They are inexpensive and readily available at garden departments of big box stores. The following annuals are not a favorite of deer. The features of deer resistant plants include fuzzy, spiny, or sharp edged leaves; strong or pungent scents; and sticky or milky sap. 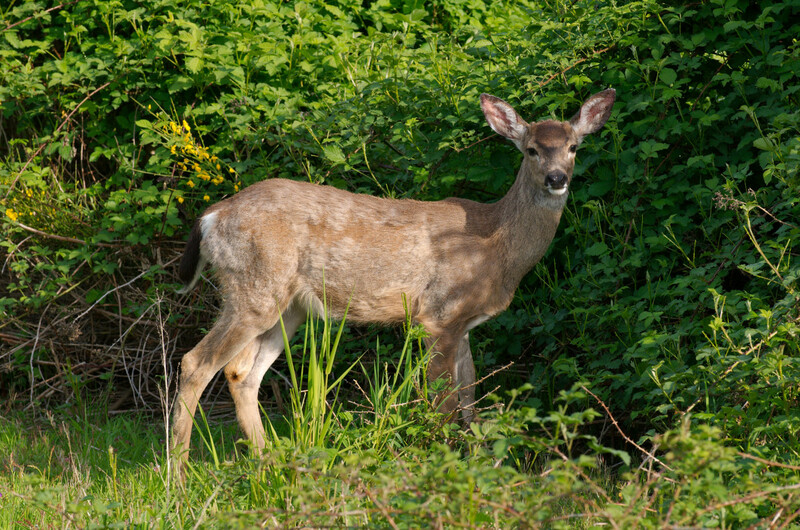 Deer also avoid plants which are poisonous to them. Ferns and ornamental grasses are usually not on the menu. While you may crave those tender-leaved garden favorites like hosta or hydrangea, there are many plants that deer avoid. Placing an occasional plant that is popular with deer in the midst of resistant ones may be an option. While deer were once woodland, meadow, and country browsers, the lack of predators has increased deer populations throughout North America. Deer now show up in the suburbs and even city areas. They can decimate a garden. Fences may not deter them. I once saw a large doe clear a six foot fence in the city. Hanging or spreading strong smelling deterrents like Irish Spring soap will work for a while but need to be replaced after several periods of rain. Here is a list of popular, easy to find plants that deer avoid. 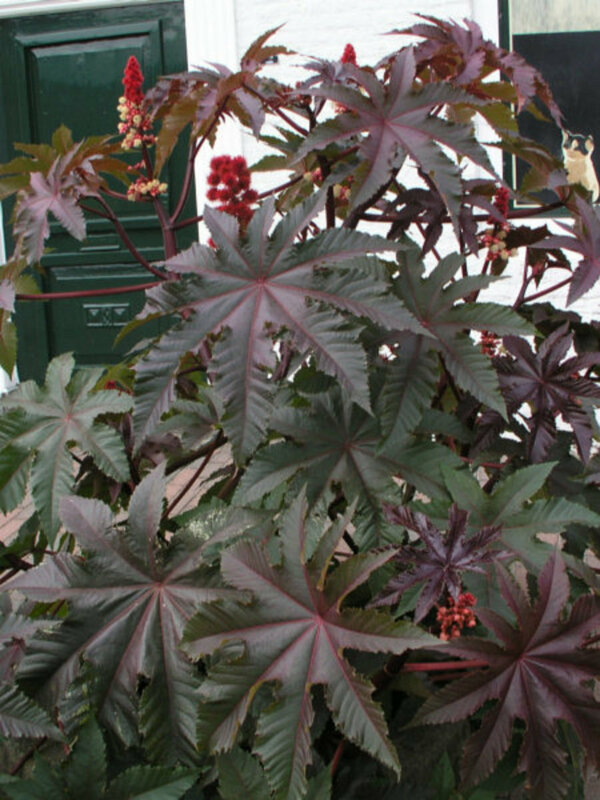 Castor bean or Ricinus communis is a tender perennial that is grown as an annual in areas with cold winters. In a very sort time, this large leaved plant can grow to 12 feet tall with a four foot spread. Reddish stalks and deep green to maroon leaves can add to a tropical look, Round, spiny, bright red flowers appear in summer. In US zone 10 and higher, can be grown as a perennial. 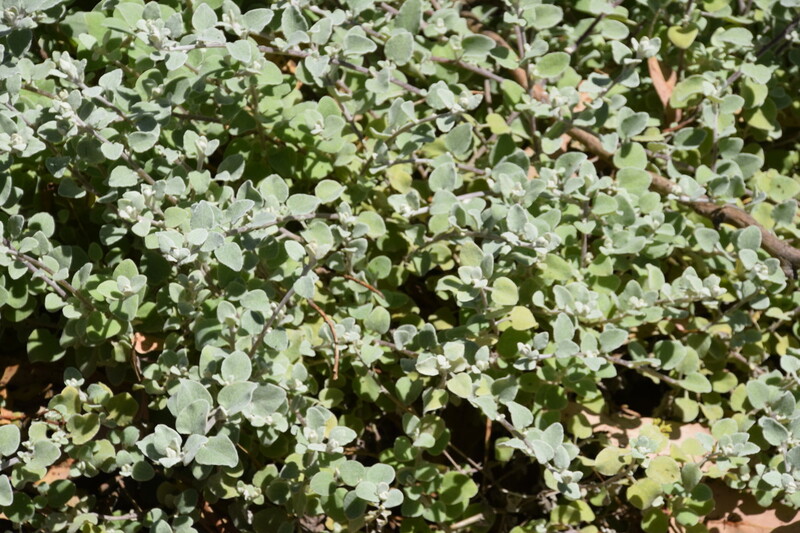 Dusty Miller features deeply lobed silvery foliage. Growing one to two feet tall, this one also deters rabbits. Its whitish protective coating shields leaves from excess sun and protects against moisture loss. 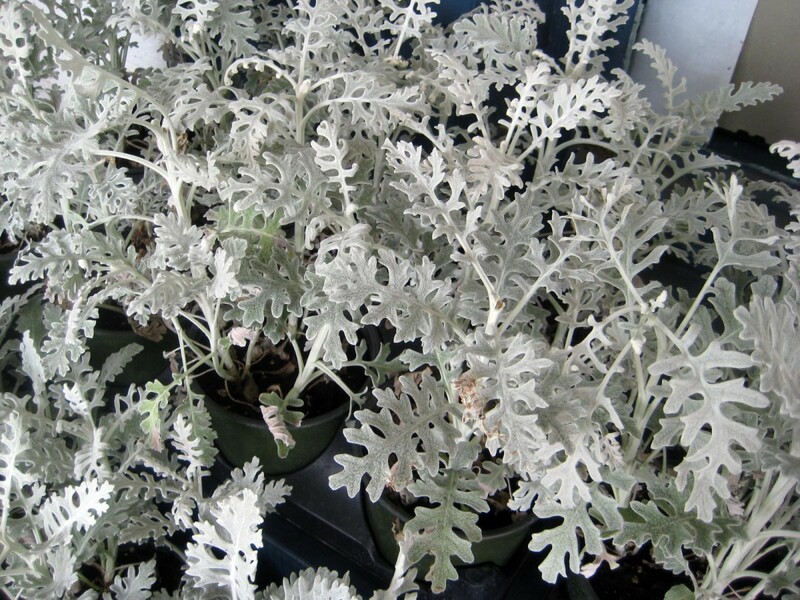 There are several plants that are called Dusty Miller including Artemisia stelleriana, Senecio cineraria, and Senecio viravira. While these plants flower, they are grown mostly for their pretty foliage. US zone 2 - 11. 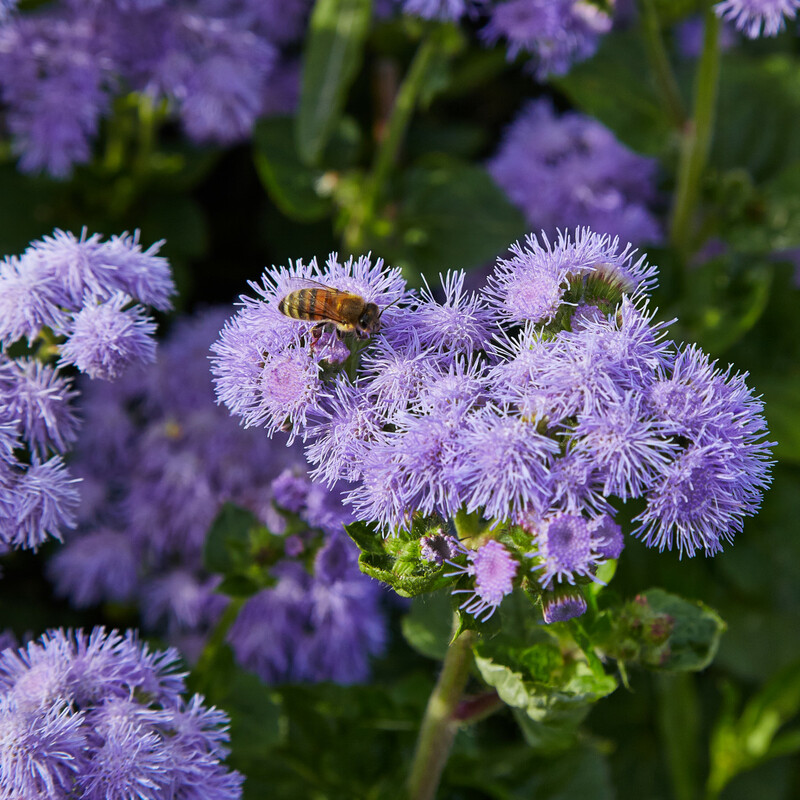 Floss flower or Ageratum houstonianum has many cultivars, and comes in many sizes and colors including shades of blue, pinks, and white. Deer are put off by the fuzzy flowers and rough textured foliage. It has a long bloom time. Dead head for repeat blooms. Various types bloom from six to thirty-six inches tall. US Plant zone 2 - 11. Licorice plant or Helichrysum petiolare is a shrubby plant with fuzzy, heart shaped leaves. Tiny hairs on the leaves make the plant look silvery. Growing from six to nine inches tall, the strong licorice aroma deters deer. Grown in full sun to partial shade. Licorice plant will usually not flower unless it is planted in a frost free area. 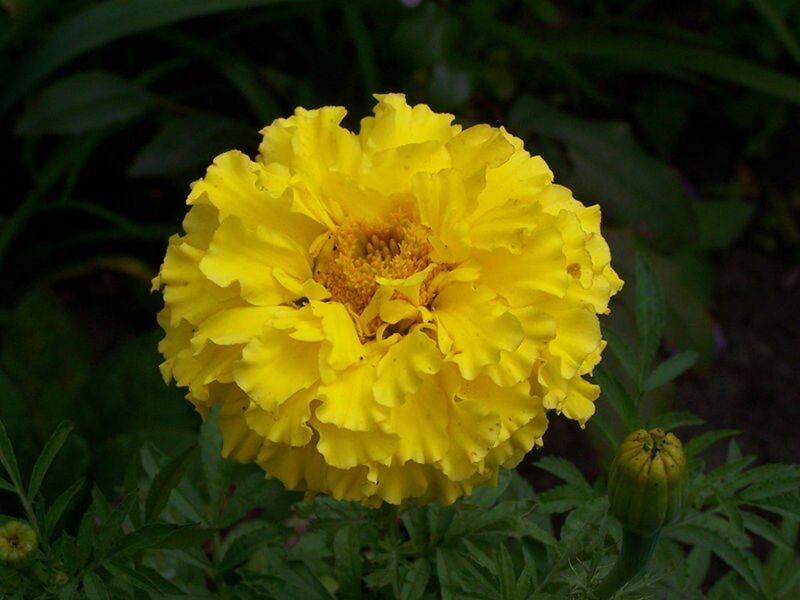 There are a wide variety of marigold or Tagetes plants. They feature lacy leaves, and strongly scented edible flowers. African marigolds grow up to 3 feet tall and feature brilliant, double flowered blooms up to five inches across. Colors range from shades of yellow, orange, and cream. French marigolds are smaller with single or double blooms. Both types are easily grown from seed. Dead head for repeat blooms. Save the dry seed head for use the following spring. Plant in full sun. Perennials are herbaceous plants that may be evergreen or go dormant over the winter but return to growth in spring. While perennials are expensive, they can be a worthwhile investment in a garden. Many perennials spread or can be divided at the root to create more. 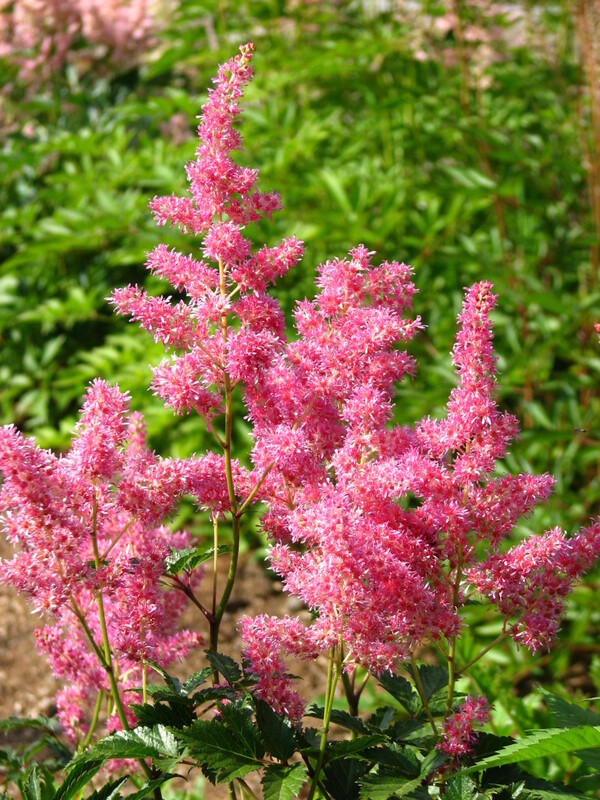 Astilbe features pretty toothed leaves and sends up feathery plumes of flowers in early or late summer. Blooms come in white, cream, pink, orchid, salmon, and shades of red. Varieties grow from one to four feet tall. Plant in shade. Astilbe prefers cooler summer weather. Bigroot geranium or Geranium macrorrhizum is also called Scented cranesbill. 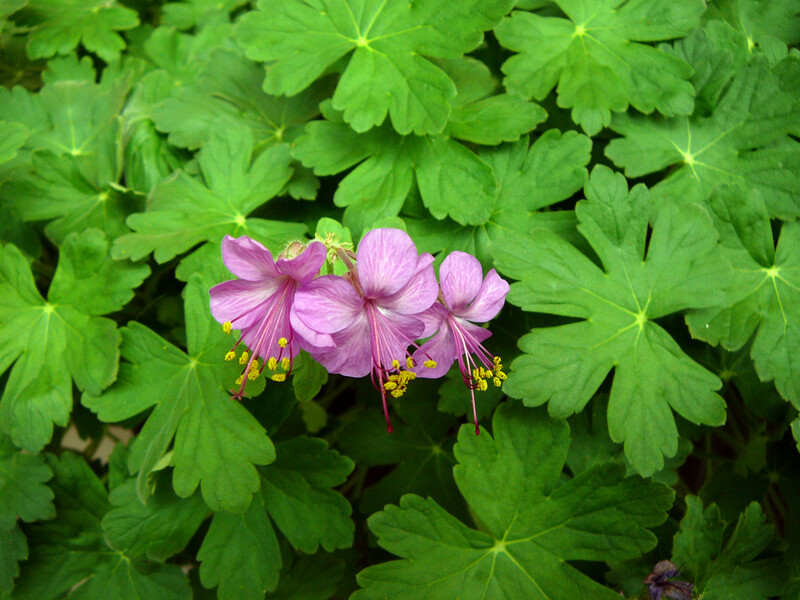 This hardy geranium has soft, fuzzy, bright green, lobed leaves. Clusters of one inch magenta flowers appear in late spring. The small plants grow to one or two feet tall. Deer do not like the pungent scent. Plant in full sun to partial shade in well drained soil. 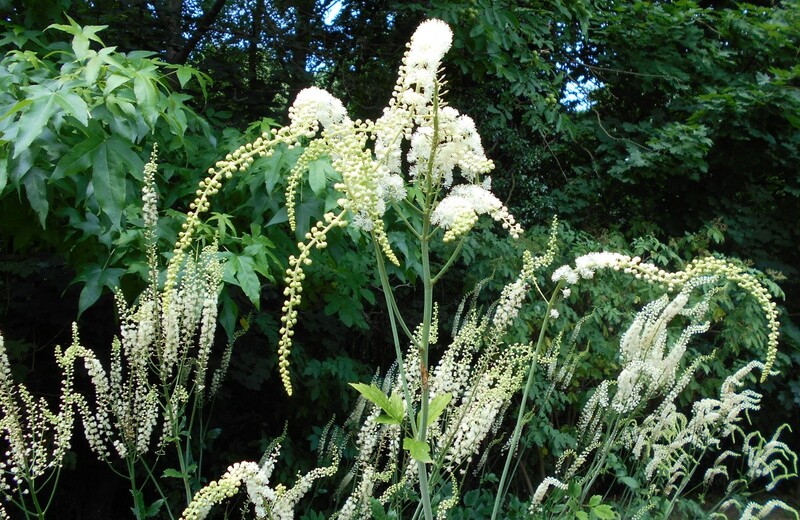 Black snakeroot or Actaea racemosa is also called black cohosh or fairy candles. This native perennial reaches six to eight feet tall. Mid summer blooms produce tall white candles. 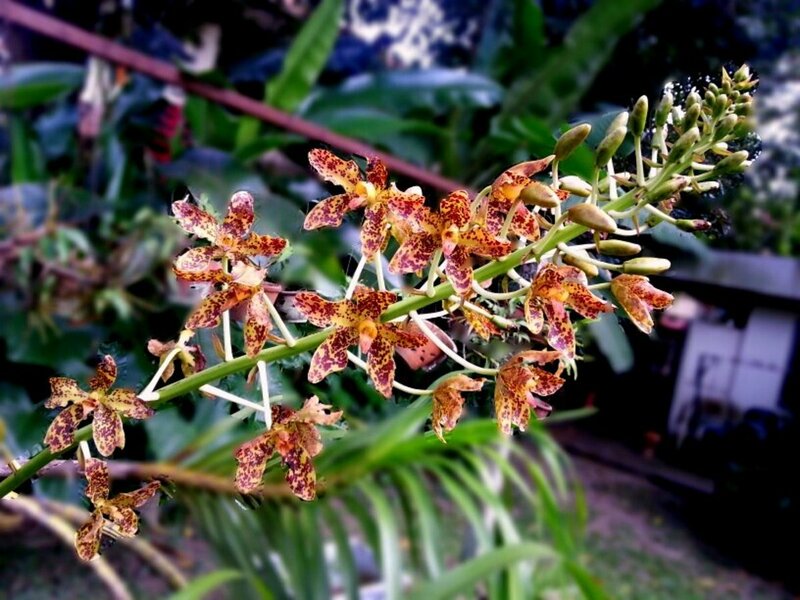 It has wiry stems and deeply toothed leaves. Deer dislike its strong odor and bitter taste. Some people like the scent while others think it stinks. It attracts butterflies. Plant in partial to full shade. Avoid windy areas. 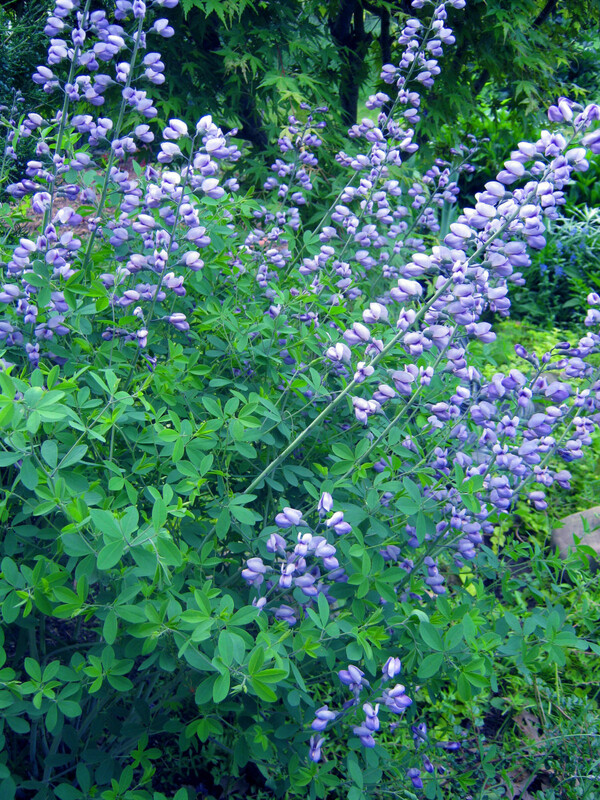 False indigo or Baptisa australis is a bushy, drought tolerant, native plant. Soft blue, green leaves branch out to four feet wide and three to four feet tall. Sweet pea like flowers appear in late spring or early summer. It is poisonous to deer. Plant in full sun to partial shade. More sun means more blooms. 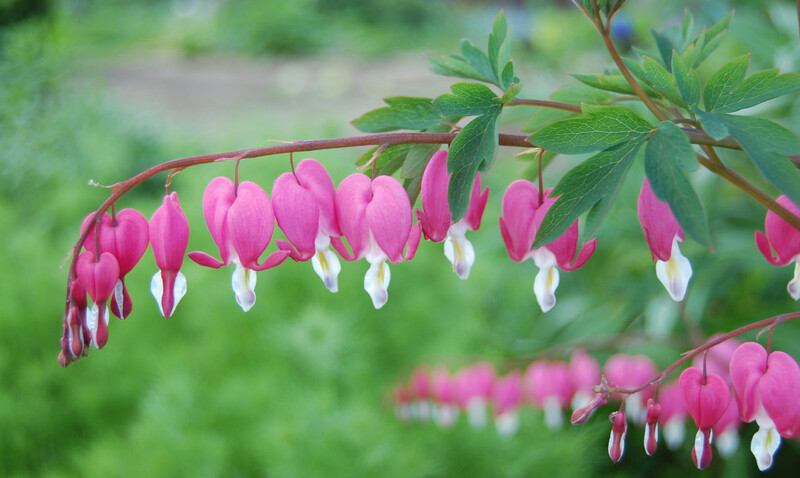 Bleeding heart or Dicemtra eximia, as well as Dicemtra spectabilis is a bushy, spring blooming plant. Heart shaped flowers dangle from tender, arching stems. Clump forming, bleeding hearts prefer some shade and good drainage. As summer progresses, leaves will yellow and die back. The roots can be divided in winter. Formosa and fringed varieties will bloom continuously in cool summer areas. 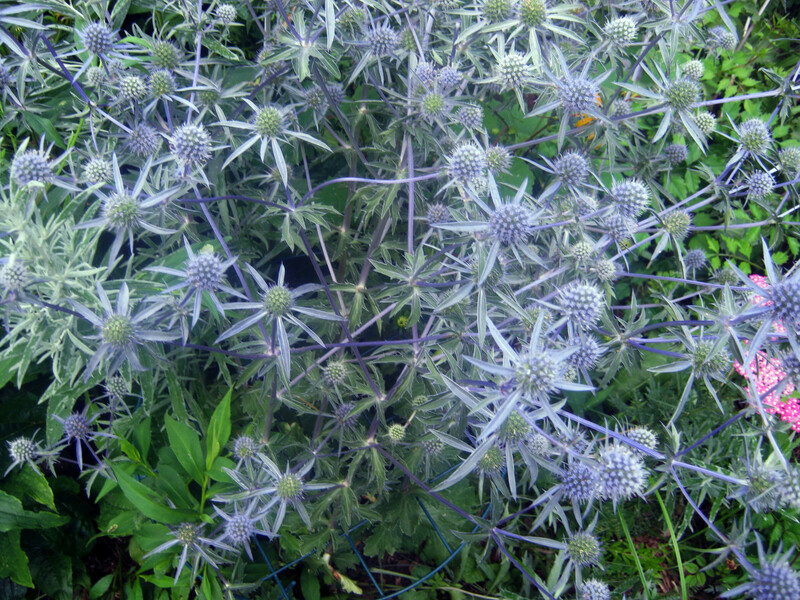 Sea holly or Eryngium grows to three feet tall sporting spiky, thistle like foliage. The leaves resemble holly leaves. Leaves can be a variety of shades of green to blue green. Summer blooming flowers resemble thistles surrounded by blueish green bracts. Some varieties appear luminous. Plant drought tolerant sea holly in full sun. Plants may flop so need support. Euphorbia or cushion spurge comes in at least 2,000 types from leaved, shrub like plants to cactus like succulents. Most are deer resistant. The irritating milky sap deters deer and can cause skin irritation in humans. 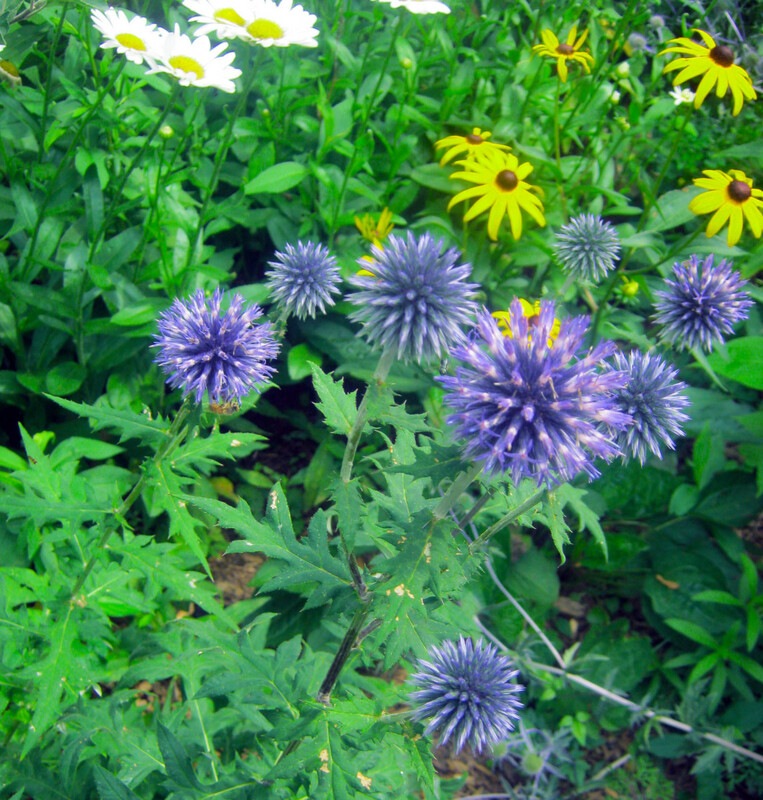 Globe thistle or Echinops produce pointy blue orbs on tall stalks in summer. Foliage is pointy edged and somewhat weedy looking but can provide an interesting texture. Leaves are green to blue/green to silvery. Plant in full sun. Globe thistle is self seeding. It is popular in fall with goldfinch. 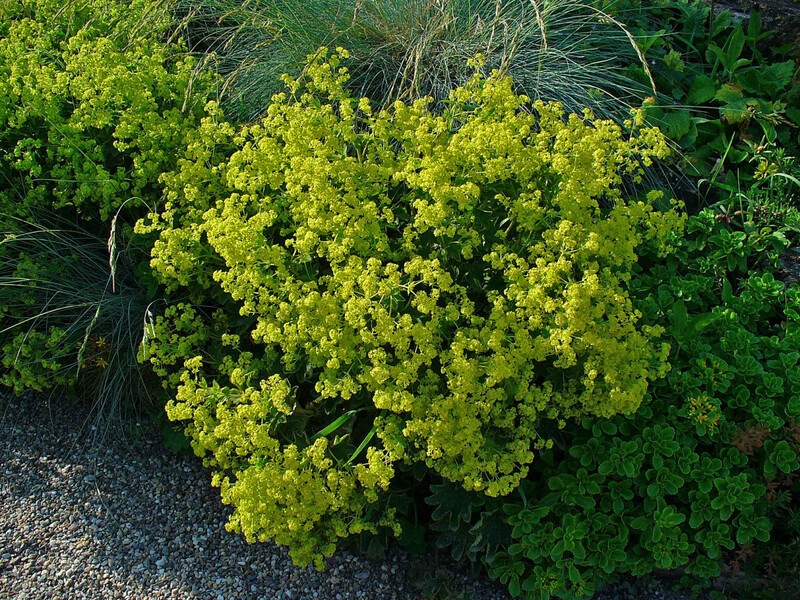 Lady's mantle or Alchemilla mollis features hairy, rounded, toothy leaves.The pretty foliage looks silver. Small flowers erupt in sprays above the leaves in late spring or early summer. Plant in part sun or light shade. They prefer cooler summers. In areas where the summer is very hot, plant in an area protected from afternoon sun. 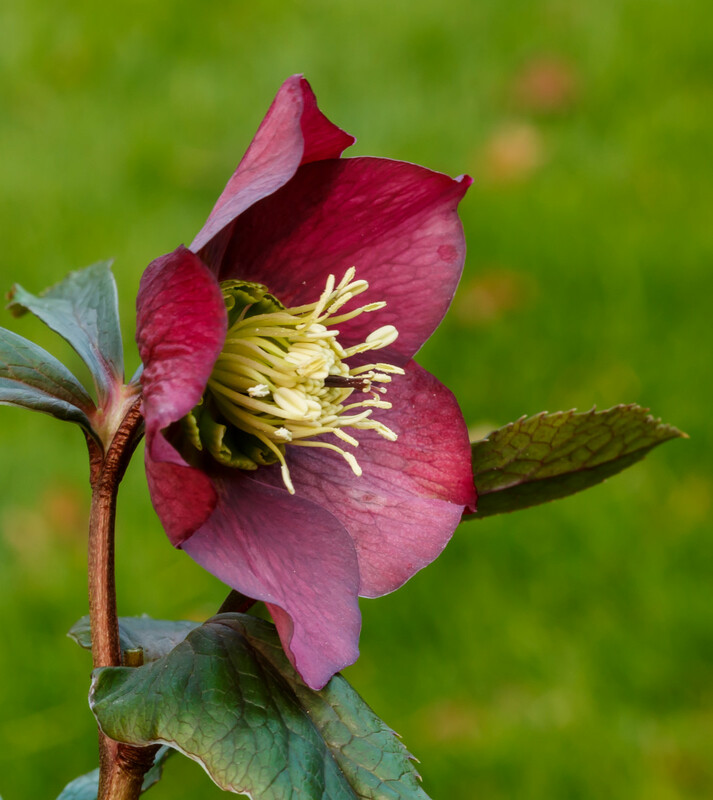 Lenten rose or Helleborus orientalis is a low growing bushy perennial that blooms in late winter growing from 15 to 18 inches tall. Dark green, hanging leaves can almost hide the arching, cup shaped, delicate flowers. Blooms come in pink, white, purple, or dappled maroon. Plant in light shade. They do well when planted under trees. This plant is evergreen. 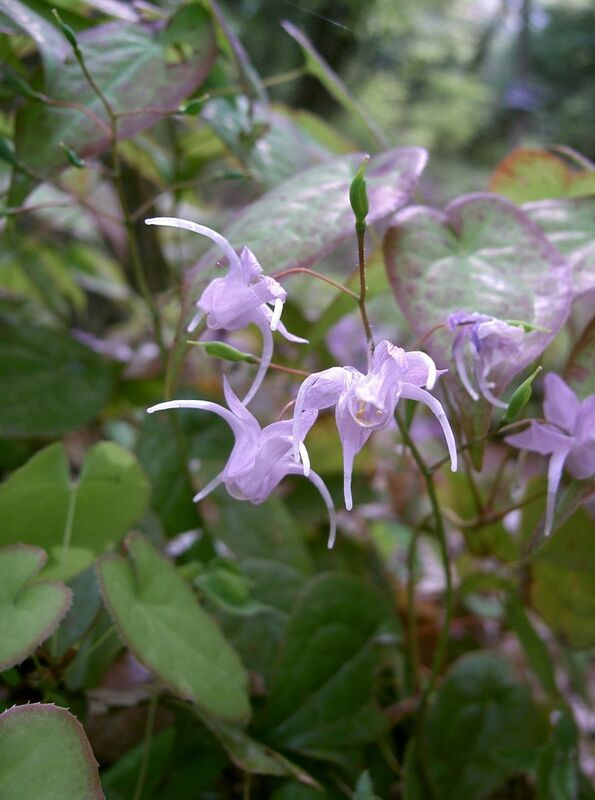 Longspur barrenwort or Epimedium grandiflorum is also called Bishop's hat. The spiny, toothed, two inch leaflets deter deer. Spidery one and a half inch lavender or violet flowers bloom in loose sprays in May on 18 inch tall plants. This low maintenance plant prefers dry shade. 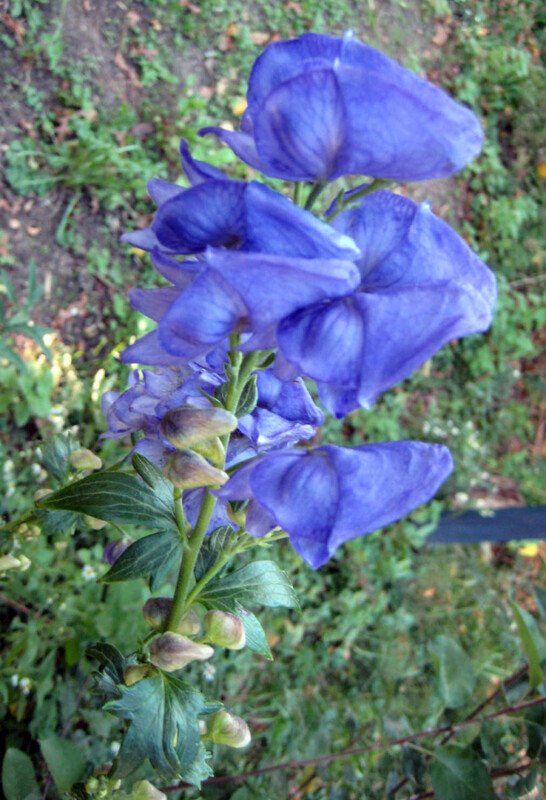 Monkshood or Aconitum carmichaelii as well as several cultivars is poisonous and should not be grown if there are children around. They can grow quite tall with lobed, dark green leaves. The strong stems need no staking. They bloom in blue to purple spires in late summer or early fall. Plant in full sun to light shade. Do not let sap touch your skin, cuts, or your eyes. Do not grow near the vegetable garden. US Plant zone 3 - 7. Will not tolerate very hot summers. 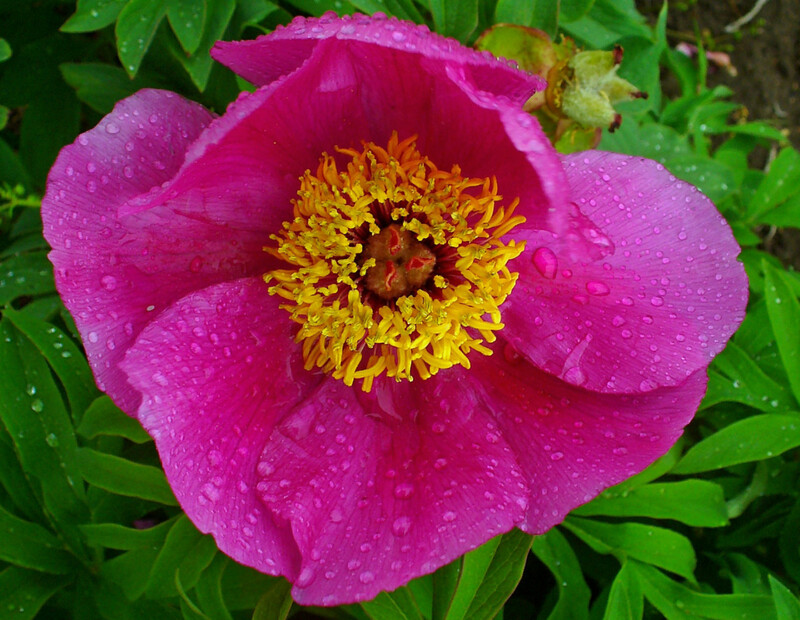 Peony or Paeonia officinalis is a spreading, bushy perennial with a floppy growth pattern up to two feet wide and three feet tall. This tough plant blooms with huge, showy flowers in spring. Deer do not like the scent. Flowers appear in shades of white, pink, and reds and often appear as motifs in wall paper, fabric, dishware, and other decorative arts. Plant in full sun in rich, fertile soil. 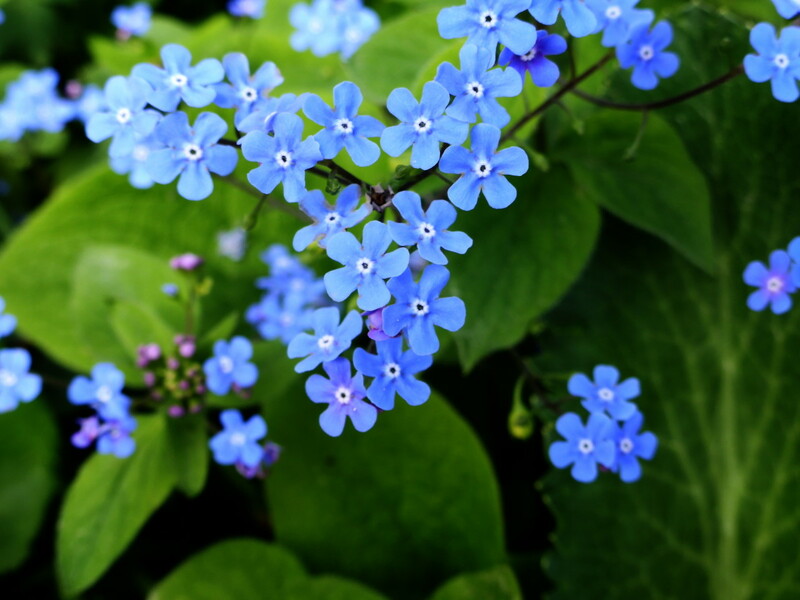 Siberian bugloss or Brunnera macrophylla is a perennial forget-me-not. It produces airy sprays with tiny blue flowers in spring. Deer dislike the rough texture of its hairy, coarse heat shaped leaves. Shrubs are woody plants that can be evergreen or deciduous. Some flower while others are grown for their foliage. Generally smaller than a tree, often called bushes, shrubs produce branches close to the ground. 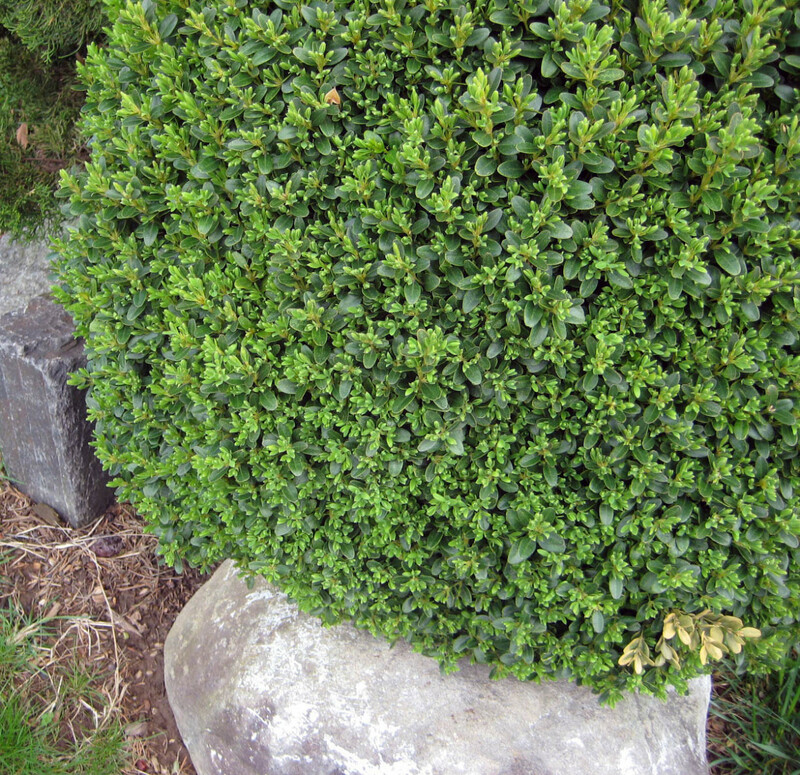 Boxwood or Buxus is a broadleaf evergreen shrub that appears in many varieties. This charming old world shrub works well in hedges, topiary, or as a single specimen. 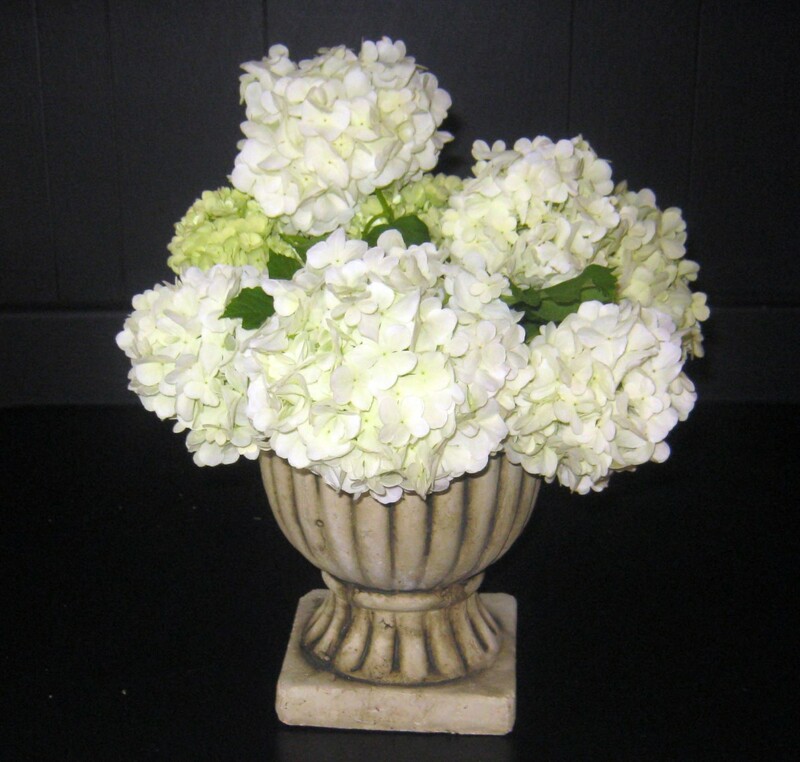 They can look nice in a container and add a pretty touch of green in winter. The pungent aroma deters deer. Plant boxwood in full sun to part shade in well drained soil. Excessive moisture will rot the roots. Japanese spiraea or Spiraea japonica forms a dense, mounding shrub. Twigs produce small, serrated leaves that appear in blue/green or yellow/green. Tiny pink flower clusters appear in summer on new growth. The shrub grows up to six feet tall with a two to six foot spread. 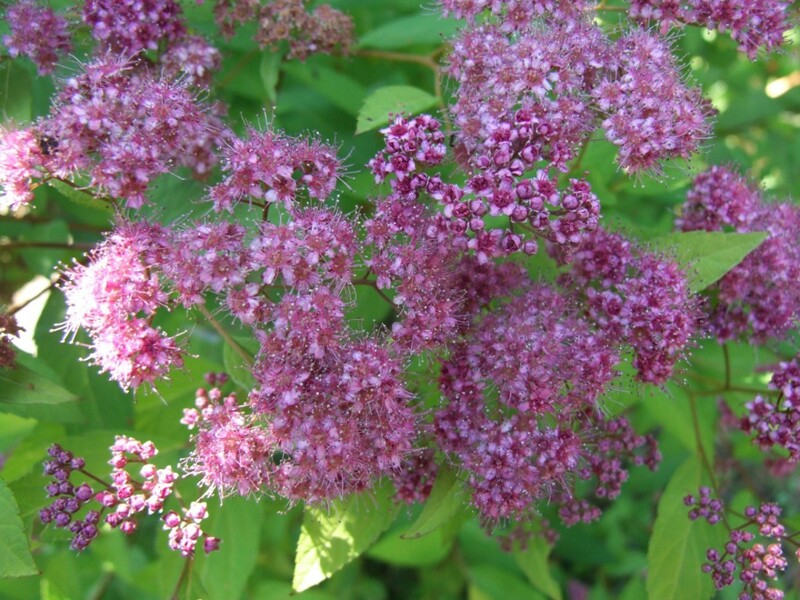 Japanese spiraea can be invasive in eastern North America. Cut spent flower heads to avoid seeding. Plant in full sun to partial shade. 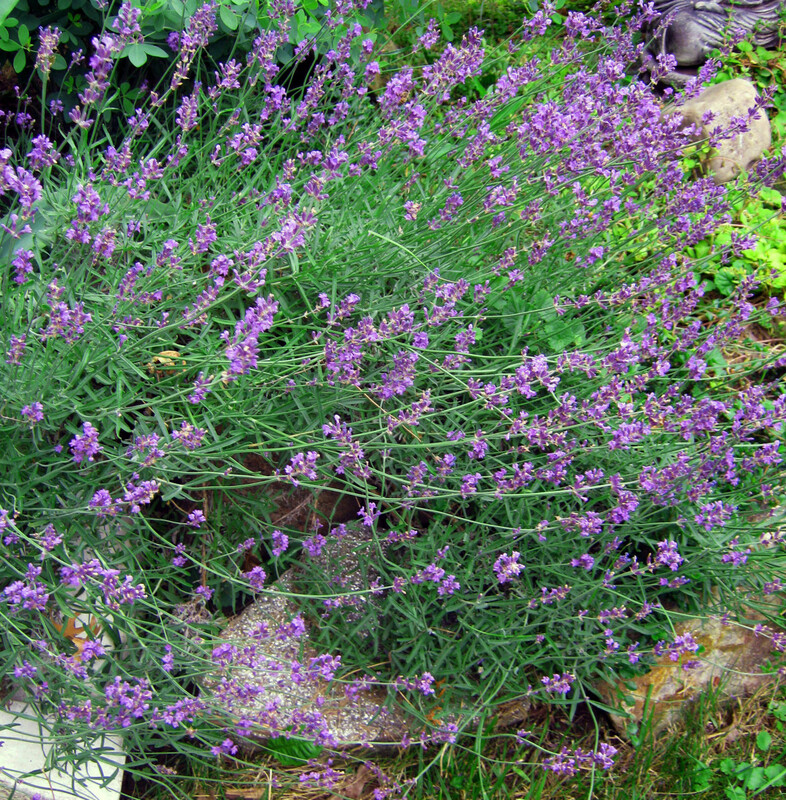 English lavender or Lavandula angustifolia is a lovely shrub with aromatic grayish green leaves that resemble needles. Tiny spikes in shades of blue or lavender appear in spring on this shrubby perennial herb. Lavender deters mosquitoes as well as deer. There are many types of lavender. Some will not live through a colder winter while some can take short spikes of freezing weather. In my own Zone 6, lavender thrives through mild winters but the occasional bout of frigid temperatures will kill it. Plant this small shrub in full sun in well drained, alkaline soil. A spate of very wet weather can also kill lavender. 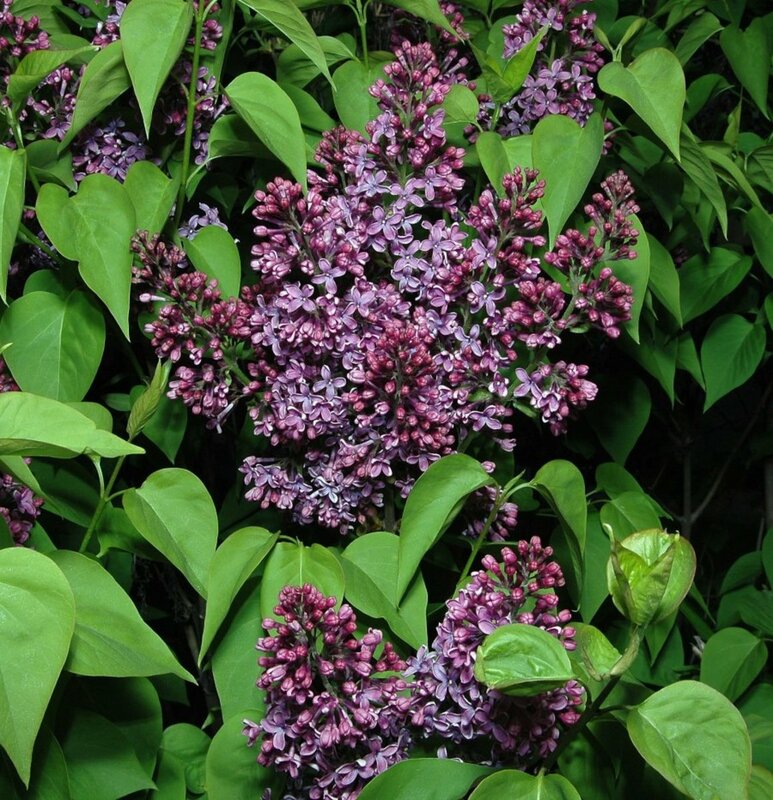 Common lilac or Syringa vulgaris as well as Japanese tree lilac or S. reticulata may be eaten by extremely hungry deer but are usually avoided. 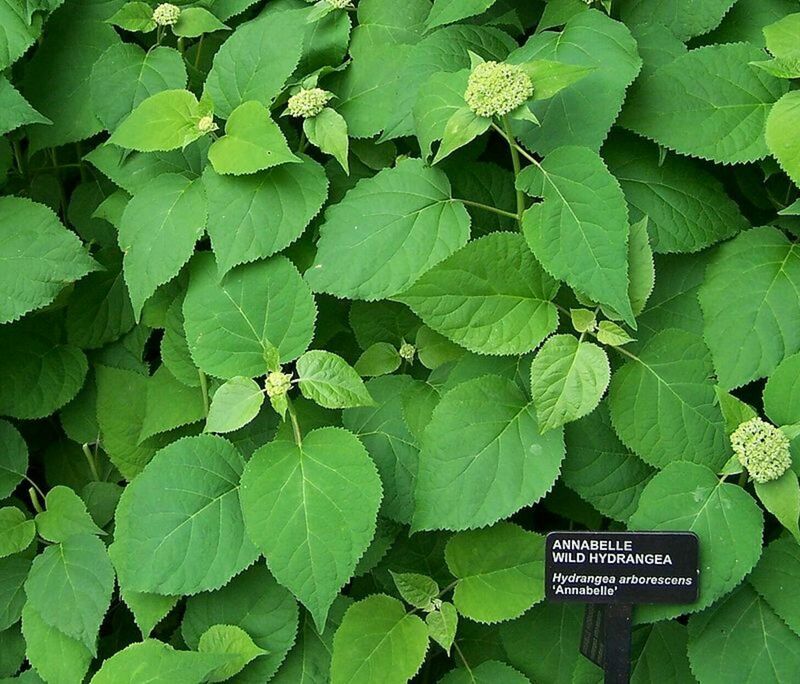 The five to fifteen foot deciduous shrub produces highly aromatic flowers. Panicle bloom clusters are various shades of lilac, magenta, blue, purple, and white. While common lilac blooms in spring, the Japanese tree form blooms later. Plant in full sun in neutral to alkaline soil. Lilacs attract butterflies. 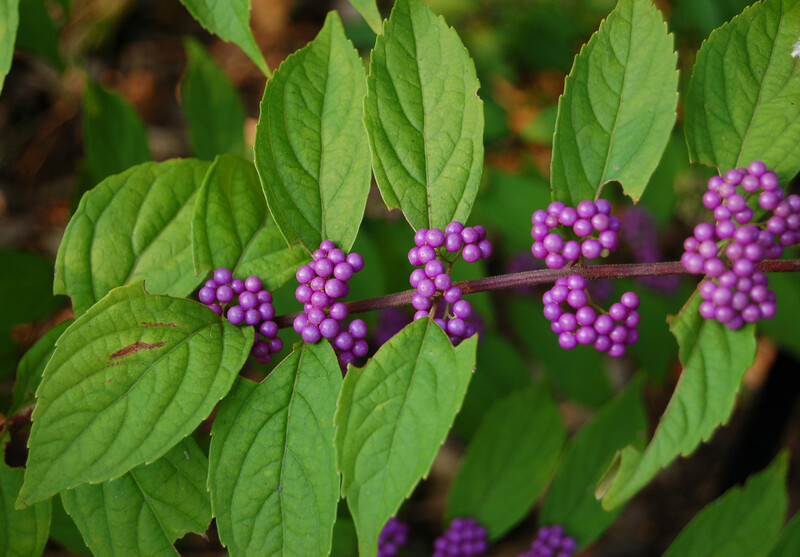 Purple beautyberry or Callicarpa dichotoma is a fast growing deciduous shrub that grows three to four feet tall and three to five feet wide. Clusters of lavender or purple berries appear in early fall. The arching branches feature medium green leaves with small pink flowers in summer. Deer do not like the pungent leaves. 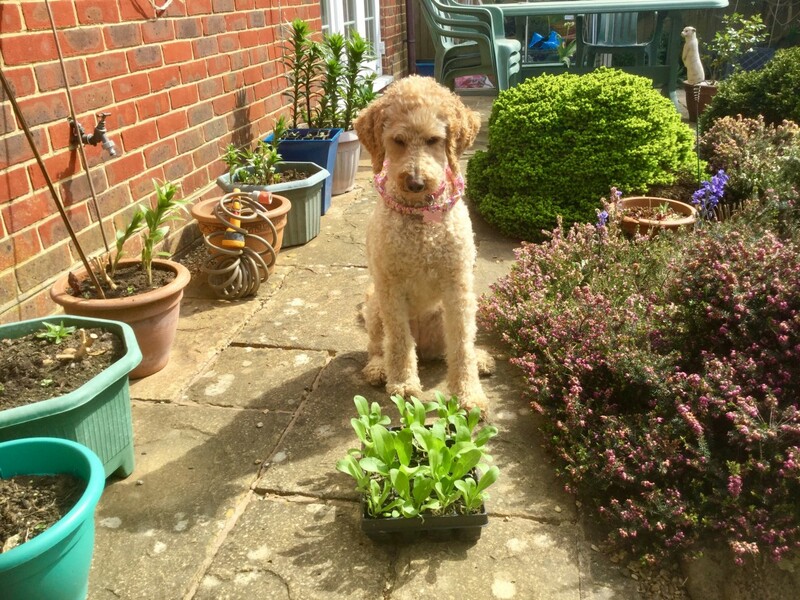 Plant in full sun or partial shade in well drained soil. Established plants are drought tolerant. 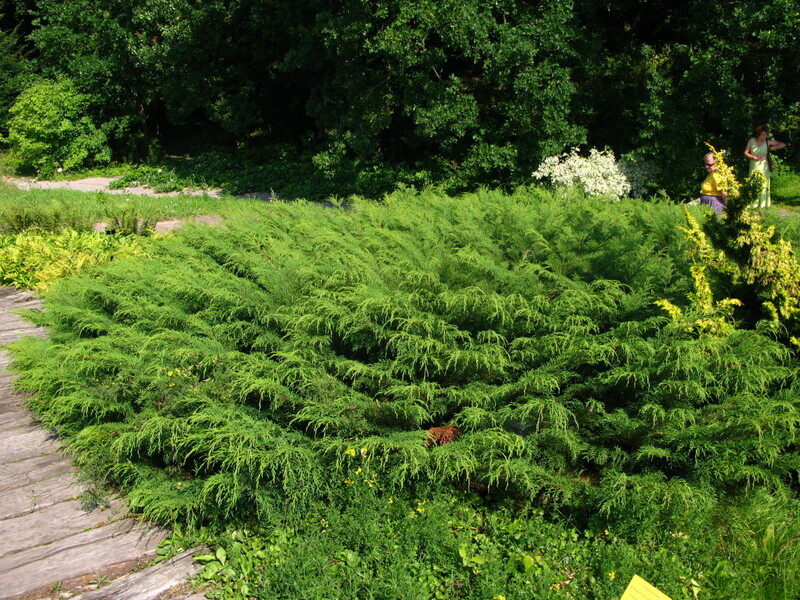 Russian cypress or Microbiota decussata or Siberian carpet is a tough, slow growing evergreen, ground covering shrub. This low growing conifer prefers cooler summers. Deer do no like the rough, scaly bark on this one to three foot shrub. There are many varieties of Viburnum. The shrub produces large flower clusters in spring or summer. Snowball viburnum features fat, round hydrangea like blooms. Some, like Burkwood's viburnum, are fragrant. The large growing shrub can reach eight to twelve feet tall though there are dwarf forms as well as types that grow up to twenty feet. The native to North America plants can be evergreen, semi-evergreen, or deciduous. Plant Viburnum in full sun to light shade in well drained soil. Check plant tag for the type that you buy. Bulbs are plants that store nutrients in a firm, bulbus section underground at the base of the stem. Lilies, tulips, and daffodils are familiar examples. Plant spring blooming bulbs in fall and summer blooming bulbs in early spring. 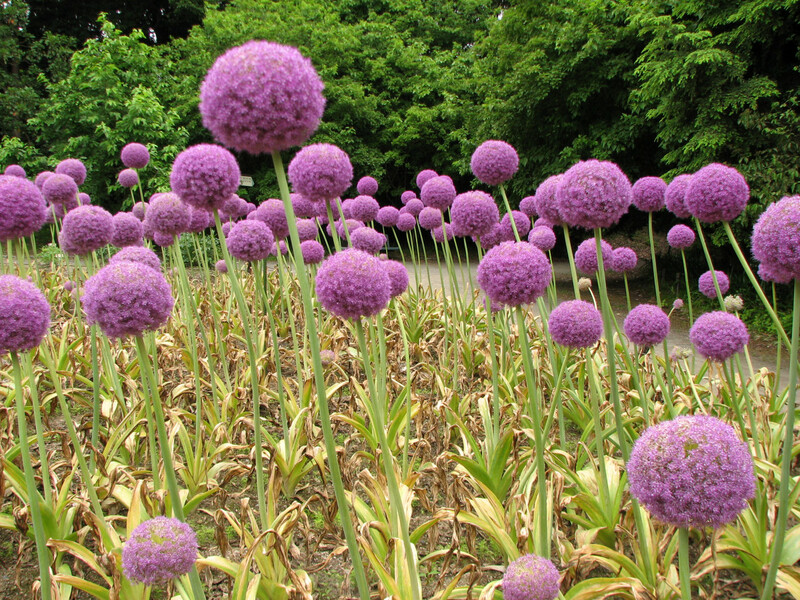 Allium, also known as ornamental onion has a tall stem topped by orb shaped clusters of small flowers in spring to summer. There are a wide range of colors including shades of blue, purple, pink, magenta, and white. Leaves are lance shaped and a dusty green. They will die back after bloom. Plant in fall in full sun and well drained soil. 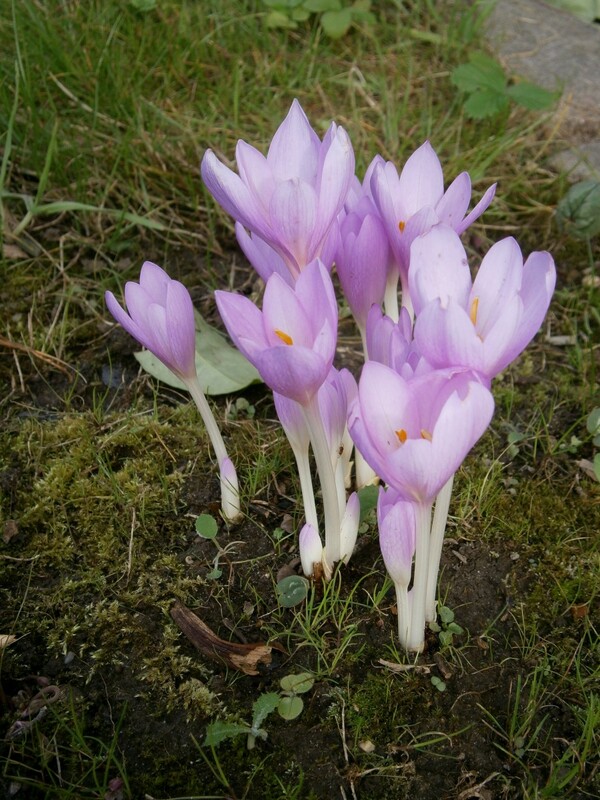 Autumn crocus or Colchicum is not a member of the crocus family but gains its name from its resemblance to the popular spring bulb. Leaves emerge in spring then die back in summer. White, pink, purple, or lavender flowers grow on stems after the foliage has died back. 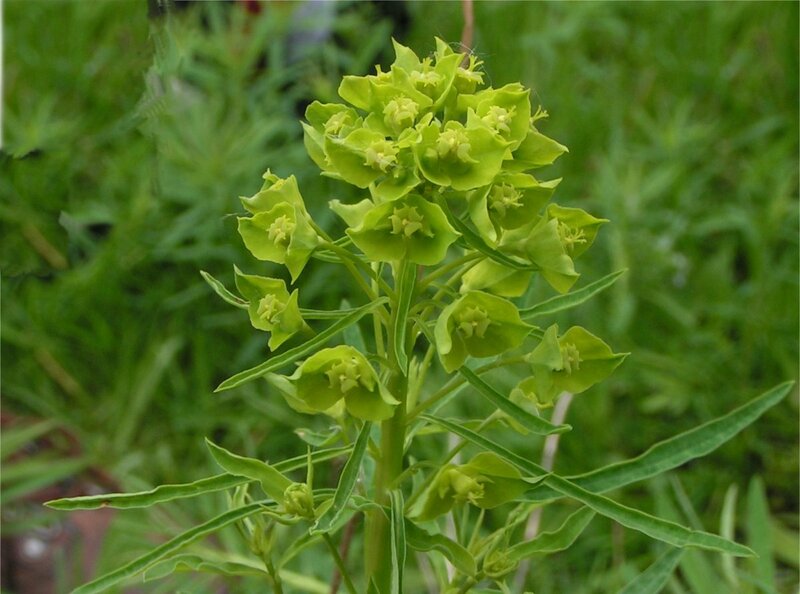 This poisonous plant grows from six to eight inches tall. Plant corms in late summer or early fall in full sun or partial shade. 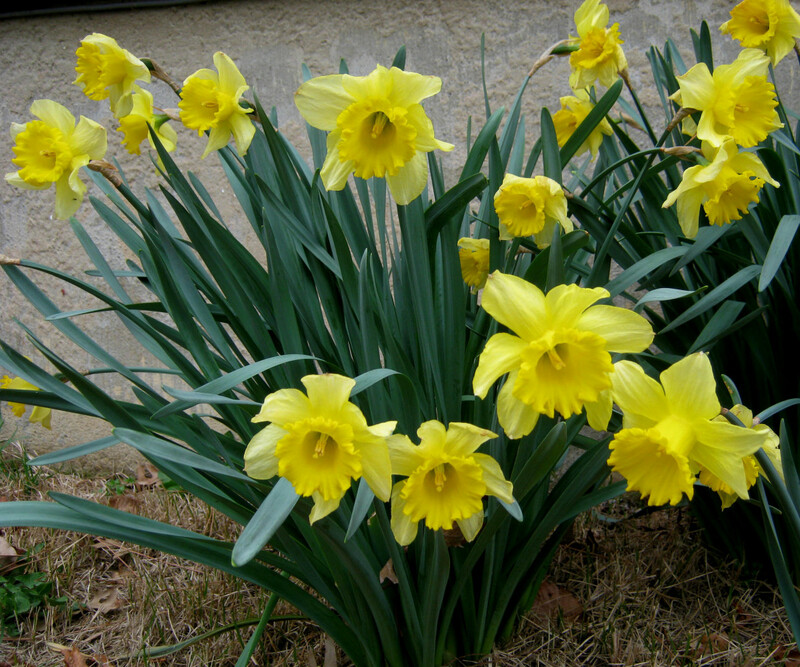 Daffodil or Narcissus species and other cultivars contain a poisonous alkaloid toxic to deer. While many are familiar with the classic, trumpet shaped flower, other shapes are available as well. Flowers appear in early spring in a wide variety of colors and color combinations. Plant bulbs in late fall for spring bloom. 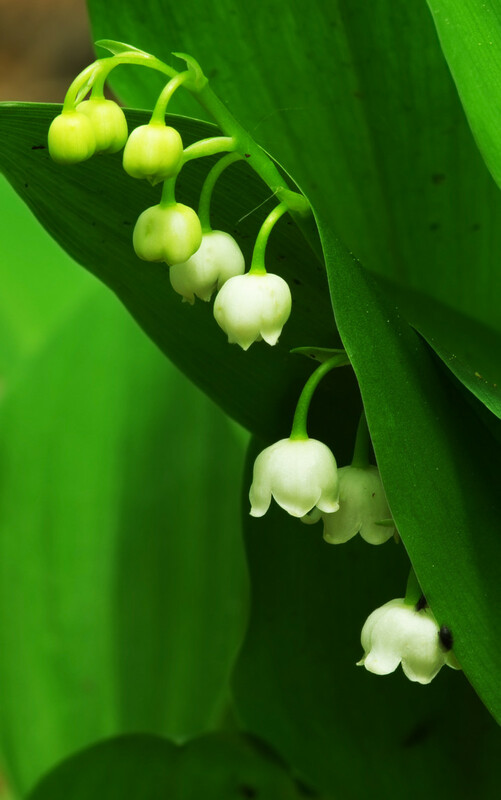 Lily of the Valley or Convallaria majalis is another bulb with tiny bell shaped flowers. Set against wide, lance shaped, deep green leaves, Lily of the Valley is highly aromatic with a sweet scent. This late spring and early summer bloomer will grow from four to eight inches tall. Plant in partial shade. Plant or divide rhizomes in late fall. Deer avoid it because it's poisonous. Snowdrops or Galanthus nivalis are early bloomers occasionally flowering in late winter. White flowers hang like delicate little bells and are quite fragrant. 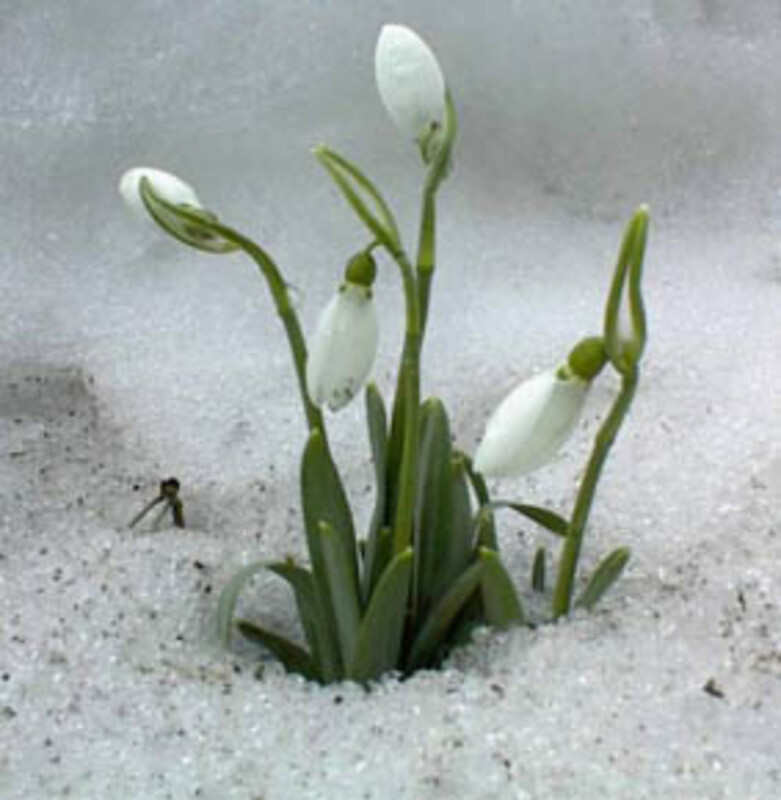 Snowdrops tolerate dry soil. The six to nine inch plants do well in a natural setting. When bulbs overcrowd they do not produce many flowers. Divide every five years. 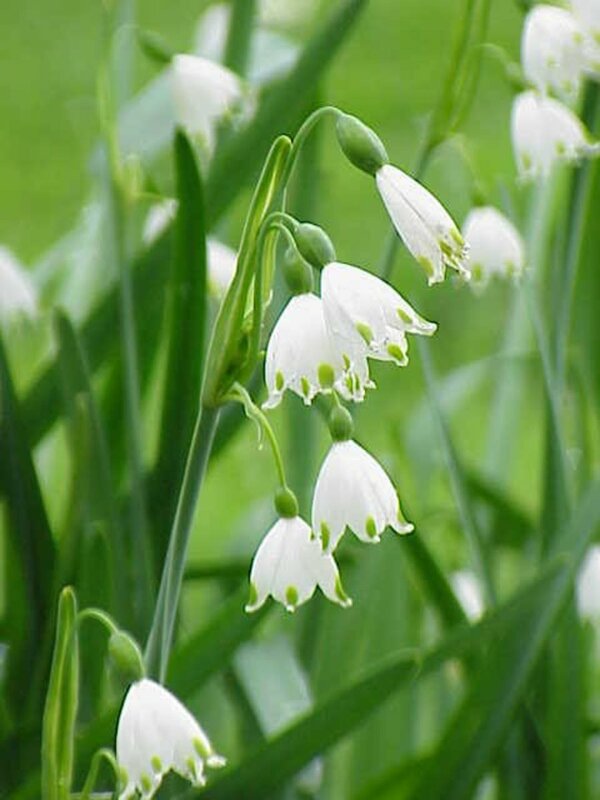 Summer snowflake or Leucojum aestivum resemble snowdrops but the bell shaped flowers are rounder. Tiny green dots appear at the edge of each petal. They droop prettily from the stems in late spring. Plants grow from 12 - 18 inches tall. The sticky sap may cause skin irritation but it also deters deer. Hi Genna - it's always something out there in the yard! I never worried about rabbits because they don't really eat that much. However I have not seen a rabbit in my yard this whole season! Where did the rabbits go? I have a feeling that it has to do with the beautiful red fox I spotted running around out there early in spring. Hi Bede - starving deer will eat almost anything. 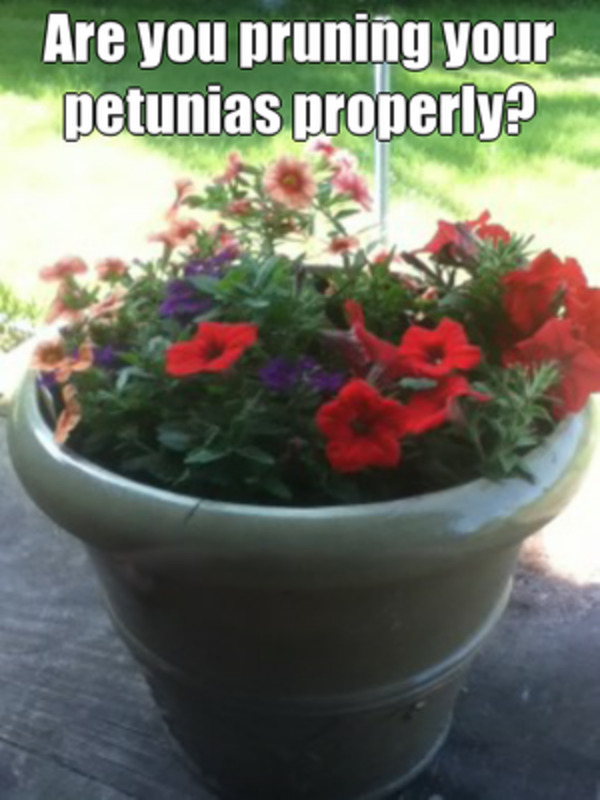 Thanks for the tip on potentilla. Of course attracting them by feeding them may suggest that your property is open for business! Hi Claudia - I now people who live in a constant battle with deer. Planting the right things seems easier. My son had good luck with hanging bags of Irish Spring soap but he eventually put up a very tall fence. Hi Dora - you got me interested. From what I've seen the best way to keep goats and sheep out of your garden is to build a wall or erect a fence. We don't have to worry about deer, but rabbits are another story. Like deer, they aren't fond of marigolds or Dusty Miller. But we never thought of the soap trick. Thanks for the hint. Deer, rabbits and other precious treasures of nature are beautiful, but they can wreak havoc with our gardens. Hi Dolores- I live in a rural area where the deer are very tame. I can walk a dozen feet from them and they don’t run. Moreover, when it comes to cheap entertainment, nothing beats tossing apples to them and watch them crunch and slobber. Regarding deer proof plants, potentilla is the best overall plant that I’ve found. It has nice yellow flowers and the deer won’t touch it. Other “deer proof” plants have not been so good from my experience- spirea and alpine currant. In wintertime, the deer acquire a taste for plants they normally wouldn’t eat. I am always on the lookout for new ideas for my border along the woods. When I first started out I planted lots of hosta, huge mistake. Now I am slowly replacing it and this article will come in handy. What great information you share here. The presentation is excellent. Haven't heard of any deer around here, but I'm wondering if some of these plants will also be resistant to sheep and goats that roam freely onto residents' property. Hi Virginia - I am surprised that your hosta are okay. Must be plenty good eating outside of your garden. Hi Ann - well you never know. I certainly never saw deer in my neighborhood but many people have seen them. I did see a deer footprint in my yard in the mud, and lost several tender young bushes, bit off two feet from the ground. Hi Mary - I know so many people who have battled deer for a long time. It just seems easier to plant things that they will not eat. Hi GlenR - it sounds as if your son has moved to a beautiful spot. Though the plants mentioned here are grown in the US, the idea that spiny, sappy, poisonous, and hairy leaved plants will hold true for anywhere. Gardening in New Hampshire in the summer, deer are an issue. I've been very lucky that they don't eat my hosta, but I see other people's get chomped. What a beautiful array of plants and shrubs you have shown us that deer avoid eating. This will be so useful to many people. Thanks for addressing this subject. I'll pin this to my gardening board. These are beautiful, including several of my favourites like daffodil and lavender. We don't have any deer nearby but it's always interesting to find out about alternative plants, even if we don't have some of them in Britain. Gorgeous photos, Dolores, and a mass of information. I can smell some of these from my desk! Thanks for the education this afternoon. Good to know that there arre plants that deer don't like. The selection is good so there are many to choose from. We have deer around our place so I just have plants in the containers on the deck but I planted astilbe and they are still there.